Nearly my entire life, September has been synonymous with back-to-school. And it never fails, the kid in me still gets so excited to shop for school supplies for the kids. But I also love buying teacher essentials. There's something about opening up a fresh set of markers or testing out or breaking in the latest gadget. 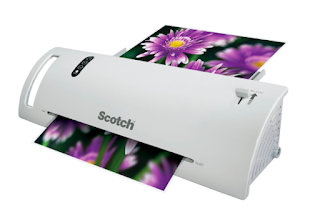 At the top of my list of teacher must-haves is the Scotch Thermal Laminator. When I first bought the Scotch Thermal Laminator last year, I wasn't quite sure what to expect. It was so compact and lightweight, it couldn't possibly compare with the heavy-duty laminators that we used to house in our school's staff room once upon a time. It turns out this laminator was just what I needed. I also bought a 100-pack of Scotch Thermal Laminating Pouches that are big enough to accommodate 8.5" by 11" paper. I use these to make my flashcards and other manipulatives more durable. Both qualify for Prime one-day shipping from Amazon.ca and range in price from $21.40 for 100 pouches to $29.97 for the laminator itself. Amazon.ca also carries a wide selection of Expo Low-Odor Markers. They come in bright, vivid, non-toxic ink in fine point tip for thin, detailed lines, as well as chisel tip for broad or fine writing. 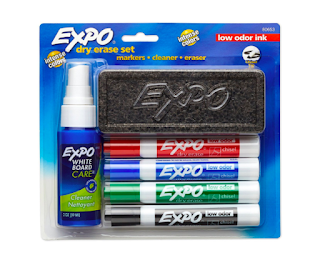 Purchase an Expo Dry Erase Set if you need a cleaner and eraser for as little as $13.93. If you are like me and you print a lot in colour, I highly recommend Epson's cartridge-free eco-tank printers. This revolutionary printer comes with enough ink to print up to 11,000 black and 8,500 colour pages, the equivalent of about 50 cartridges. That means we can go up to two years before replacing any ink. 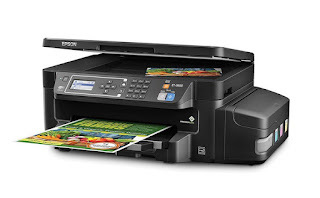 The Epson ET-3600 Eco-Tank Wireless Colour Printer is available on Amazon.ca for $473.47. And what teacher can go without Post-it Notes? They are perfect for keeping organized both in the classroom and the home office, and they come in so many difference shapes, sizes and colours, it's so hard to choose. 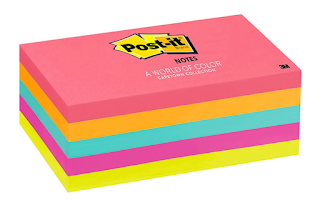 I have my eye on Post-it Notes 3-Inch by 5-Inch Capetown Collection, which is currently on sale on Amazon.ca for $12.86 and qualifies for Prime one-day shipping. Finally, for all those late nights marking papers and scrupulous planning, check out the AUKEY Wooden desk lamp. 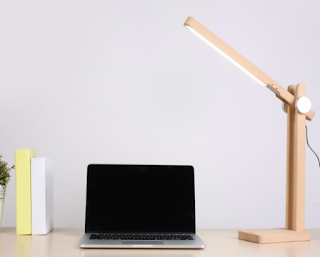 Featuring natural illumination in a choice of adaptable lighting presets, this pivoting wooden LED desk lamp has an organic look and reduces glare and eyestrain by evenly diffusing light. Purchase the AUKEY LED Wodden Desk Lamp on Amazon.ca at its current price of $45.99. That's why I wasn't so sure it would work well. But I've had it for over a year and a half and it hasn't failed me yet. I use it mostly to protect flashcards I make, hands-on activities or any reusable materials for BreakoutEDU games. I love that printer but I would need one with a fax machine, and I just don't have that kind of money right now, but I love the ink tanks!! I do believe they have a model up that has fax capabilities. I don't need to fax things since I send everything pretty much electronically now so this model is more than enough for me and my family. The units are indeed expensive but the fact that I haven't had to buy any ink in the past year makes it so worth it in the long run, especially when I think of how many cartridges would otherwise end up in land fill. Hopefully prices will eventually drop. I'll keep you posted if I come across any good sales. I'm sure they will drop eventually, but it does pay for itself in the long run with the savings of the ink!! such essential items ! 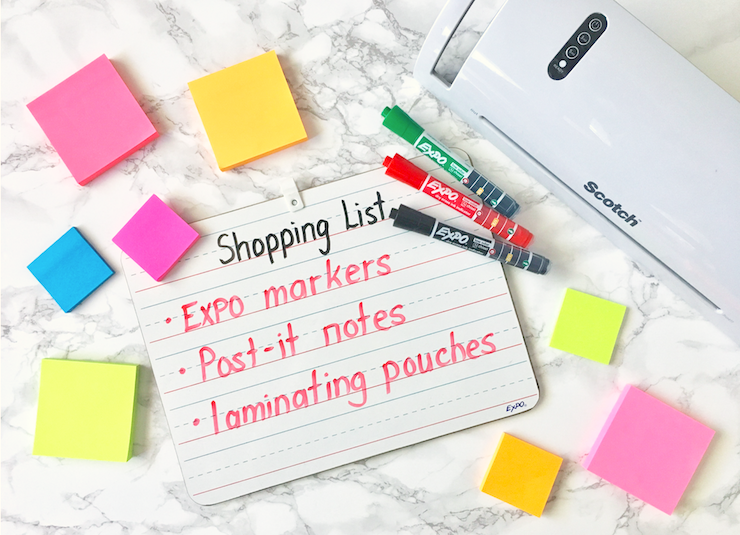 especially the thermal laminator and the Expo markers! I really love the wooden desk lamp. It would look amazing in my home office. great stuff can certainly be found on amazon! I love that this line of printers had such an extended ink life. It is so expensive to replace ink and my girls are constantly printing now that they have hit middle school. It adds up. Amazon really does have everything and that's why I love shopping there all the time. I had to have a talk with myself because I was spending all of my time and money on Amazon, So I agreed with myself that I have a monthly Amazon allowance and hopefully I can stick to it. Lots of great school supplies for both teachers and students to be found on Amazon. My favorite place to shop is Amazon,they have everything!